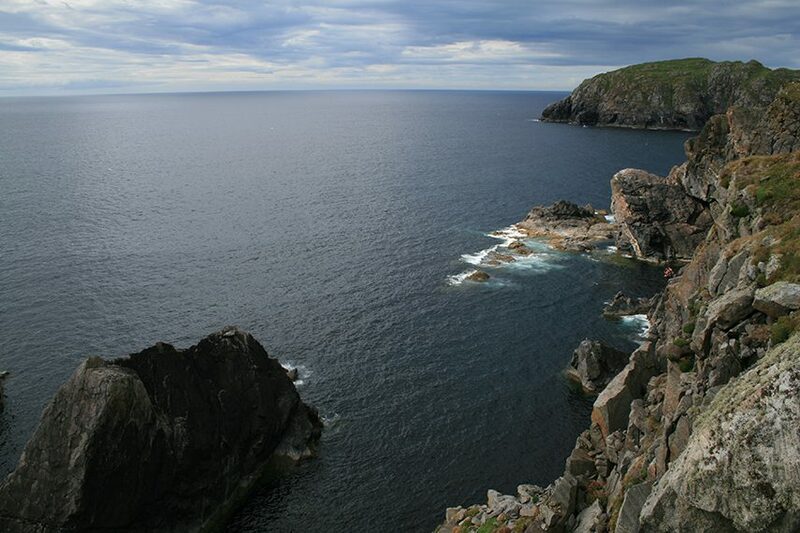 This popular 2 hour Sea Stacks trip takes in some of the most stunning scenery on Uig’s Atlantic coast. Leaving from the pontoon at Miavaig jetty we head out of Loch Roag to Vacasay, before setting a course for Harsgeir and Berisay. The stack off Berisay was at one time a temporary home for Neil Macleod, one of the many sons of the last Macleod Chief of Lewis. He was involved in the struggle between the Macleods and the Mackenzies, where the latter gained control of Lewis. 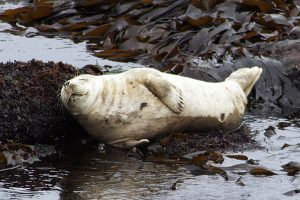 The waters around Berisay are home to a large population of seals, many of whom are to be seen relaxing on the rocks as we pass. Continuing to the Old Hill, with its 90 metre high cliffs, one tries to imagine how they appear in winter when the waves and spray break clearly over the top. In summer, nesting kittiwakes take shelter in the caves at the north end of the island. The boat then turns to the island of Campay to see its 100-metre long rock archway and blowholes before cruising on to the clear blue waters of the Little Bernera lagoon. We slowly motor past the lagoon, round to the beach and chapel ruins at Temple Sands. Our last stop is through Kyles Bernera at Bosta beach, to see the recently installed tidal bell, before returning to the pontoons at Miavaig. This non-landing trip is suitable for all the family. @MattGaw Wow Matt!! Thanks for the mention, glad you enjoyed your trip!